Where do we come from and where are we going? How can we truly respect and love ourselves the way God commands? What is God’s Divine Order in creation? Is true love for everyone or just a chosen few? Did you know that God, the Bible, the Church, Science and Creation are all saying the same thing? 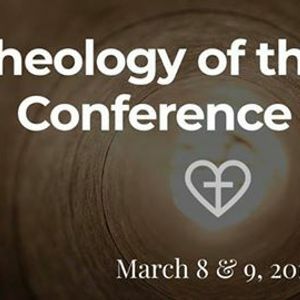 Join internationally acclaimed speakers, authors and our popular entertainer in the one and a half day Theology of the Body 2019 Conference to find answers to your decisive questions about our human destiny, and how to orient your life and actions toward authentic fulfillment - in Christ. Speakers: Christopher West, Mike Mangione, Sr. Helena Burns, Fr. Thomas Loya and Kevin Muico. The ticket price includes refreshments on Friday evening and lunch and dinner on Saturday.